The PublicSonar Early Warning Monitor is the fastest and easiest way to discover risks, incidents and crises in your region. You will have one overview showing all significant events in your service area. By combining intelligent semantic and time-based filters, you will be notified of emerging events by phone or e-mail. The Early Warning Monitor is used on day to day basis in control centers. 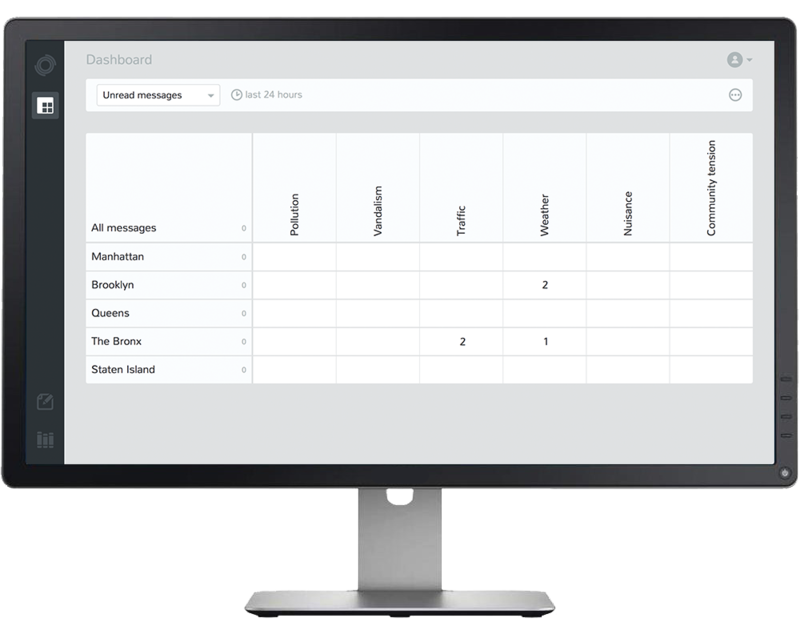 The PublicSonar Incident Monitor will help you create search queries quickly. Whether you want to monitor an event, festival, topic or crisis, you can instantly create your own filters or rely on our finest algorithms. Our algorithms are designed to cover many common situations, so are not troubled with creating complex search queries under high pressure conditions. 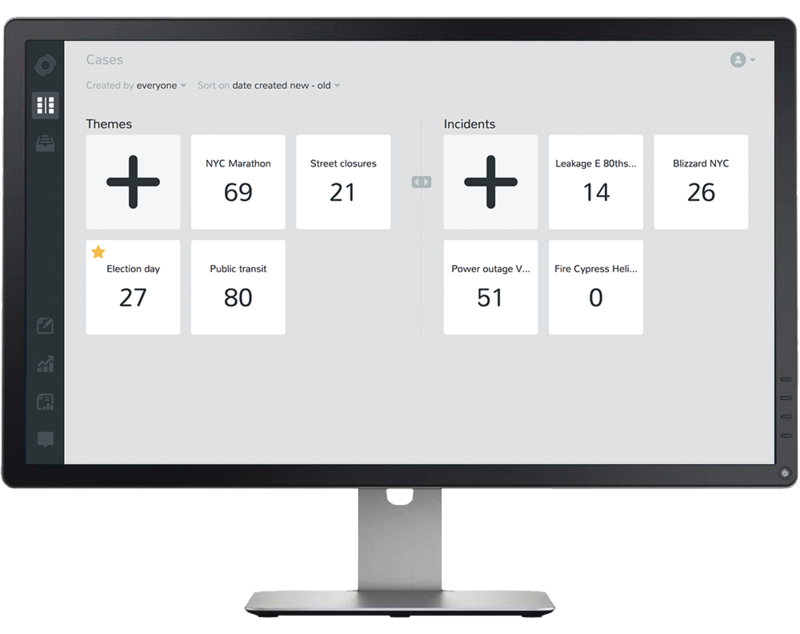 The Incident Monitor will help you drill down to the essence of the social media streams.